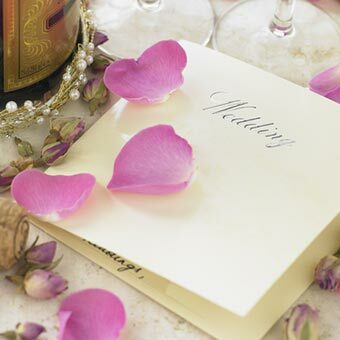 At Greyhound Print, we go the extra mile for your wedding stationery. It’s your big day – we know everything has to be perfect! 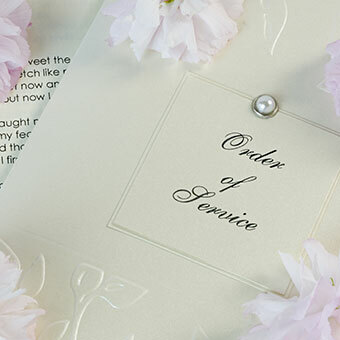 From choosing the design and type of paper for your wedding invitations, through to printing the final thank you cards – we want to ensure that all your wedding stationery is exactly how you want it. If you have your own design as a PDF or even a scribble on the back of a bus ticket, we can give it life and make that idea a reality. If you’re the sort of person that likes to discuss their ideas face to face – please come down to our Bristol premises on Whiteladies Road, look at some of our wedding stationery samples and have a chat with our team. If you don’t know what sort of thing you would like, then our design team can help you explore your options. If you need a specific paper or card that we don’t stock, we’re quite happy for you to source the card and we will gladly print onto it. If you would like a sample pack of the card we print onto, please get in touch via our contact page and we can send some in the post to you straight away. Take a look at the templates below to get an idea of our standard designs. See below for our starting prices for wedding stationery. These are all based on full colour prints onto card from our sample pack. If you need to speak to someone rather than looking online, then please call us and we can make sure you are happy with what you are planning to have printed. If you have unusual requirements that aren’t represented here, please just give us a call – we’d be delighted to get you exactly what you want. Our wedding invitations are usually A6 or A5 in size and single sided. 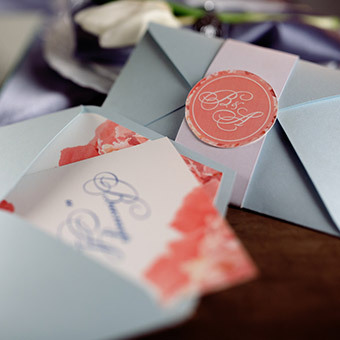 If your invite is slightly different in design, please call us and we can re-quote and discuss it in more detail with you. Other wedding stationery items (such as Save the Date cards and Thank You cards) that are the same size will be approximately the same price as shown above. Order of services are slightly different as they can be made of four or eight, and sometimes even 12 pages. Please call us for a quotation on the number below to make sure we are both singing from the same hymn sheet. Interested in a quote on a job? Just use the form on our contact page and provide the necessary information.